"How often do you find the right person ?" is the tagline of the movie.That summarises the entire idea of this very sweet musical that runs for around 80 minutes. The protagonist is a street-singer,guitarist.He meets a girl who develops an instant love for his music.He works in a hoover shop and she sells flowers & works in a musical instruments shop(she plays piano too).Each have their personal problems,yet Music binds them.They convert the love they had(and still have) for their soulmates(ex-lovers) into romance-ridden lyrics and beautiful music.They spend one week together,knowing each other,forming a band,recording songs and then,they part each other.There is no place for this general cliche of both running into each other. 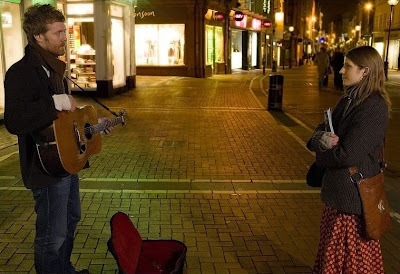 The movie rests on a single thread,the resonance between them.In more general terms,we would have discussed something called "Wavelength Match",that's what it is.Both of them are musicians,they love music and music renders hope,music renders life.The movie ends on a very positive note and each live happily ever after. 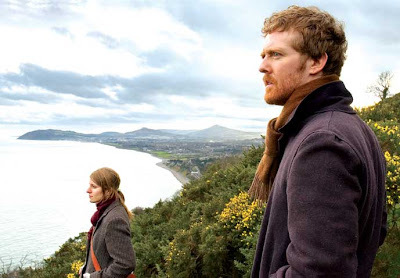 There's not much of a technical excellence in the making.The movie looks like shot in a digital camera in a few places and there are quite a few blurs and a lot of shakes of the camera.The astounding strength is the music and the tracks are really good.The lead actors Glen Hansard and Markéta Irglová have given the original musical score for the film. The movie,to be more precise,looks like a musical album that has a few dialogue-interludes.The tracks are very simple and melodies,generally.They aren't generated in a computer-mix or with metal & drums.Simple guitar chords and piano mix provides a soothing experience and the music will definitely stay in oneself and will sway you to its tunes.One of the tracks won the Academy award for Best Achievement in Music Written for Motion Pictures, Original Song,too. Music all the way...Nothing else to boast about.An interesting one-line plot but not a great ending.Start it one hour before you sleep and Just surrender yourself for 80 minutes.Get happily lost into a pleasant musical melodrama. 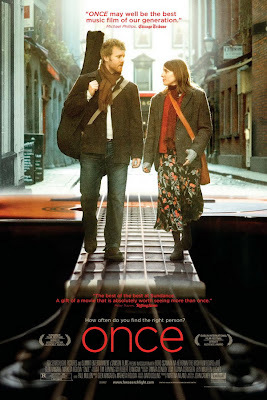 Dont count the number of times the word music is used in this post..because this movie is all about music.